Ohio courts may grant visitation rights to a grandparent or grandparents of a minor child in or after a divorce or custody proceedings, so long as the grandparents have an interest in the welfare of the child and such visitation is in the best interests of the child. Courts may also grant grandparents visitation rights where a parent is deceased or the mother of the child was unmarried when the child was born. Ohio has created statutory guidelines for determining whether a court should award grandparent visitation rights. A skilled and capable attorney can assist you with understanding the area of grandparent visitation rights in Ohio. If you desire to find out whether you should petition a court for grandparent(s) visitation rights, the divorce lawyers and family law attorneys at the Law Offices of Jack L. Moser, Jr., can aggressively and competently help you reach your goals. Ohio is one of the few states that has stood up and recognized through statutory law that grandparents should have a right to visit with their grandchild, so long as such visitation is in the best interests of the child and the grandparents have an interest in the welfare of the child. An Ohio grandparent should not become confused by a 2000 ruling issued by the United States Supreme Court, Troxel v. Granville, 530 U.S. 57 (2000), that struck down as unconstitutional a Washington State statute regarding grandparents visitation rights. The Supreme Court of Ohio in a recent decision, Harrold v. Collier, 107 Ohio St.3d 44 (2005), has determined that the federal Troxel decision does not apply in Ohio and Ohio holds that third-party visitation statutes are constitutional in Ohio. Ohio now authorizes such grandparent rights to visitation by statutes. The provisions regarding grandparent rights are contained in several different statutes that concern children. So long as a court believes it is the best interests of the child, a court may award grandparent visitation when (1) married parents separate or terminate their marriage; (2) a parent of the child has deceased; or (3) the child has been born to an unmarried mother. If you desire to petition a court for grandparent(s) visitation rights, our divorce lawyers and family law attorneys at the Law Offices of Jack L. Moser, Jr., can aggressively and competently help you reach your goals. Although Ohio law does not specify that grandparents have rights relative the child in any other circumstances, in an action for dependency or abused and neglected child, the Ohio Department of Jobs and Family Services (ODJFS) has adopted a rule that requires a public children services agency to make arrangements for such visitation to occur. In the event that a grandparent must navigate the confusing corridors of ODJFS and a public children services agency such as the county children services, the knowledgeable and skilled divorce lawyers and family law attorneys at the Law Offices of Jack L. Moser, Jr., can help you navigate the system so that you may obtain such visitation. and whether the person seeking visitation has been convicted of or plead guilty to any criminal offense involving an act that resulted in a child being abused or neglected. If the court denies a motion for grandparent’s visitation rights, the grandparent should not lose hope. A skilled and capable divorce lawyer and family law attorney can assist the grandparent in petitioning the court to reconsider or file an appeal. In such an event, our divorce lawyers and family law attorneys at the Law Offices of Jack L. Moser, Jr., can aggressively and competently help you fight to obtain grandparent’s visitation rights in Ohio. In the event that the grandparent rights have been established by court order and a party parent fails to comply or interferes with the court ordered visitation, the grandparent may bring an action in contempt for failure to comply or interfering with the court order. In such instance, a court may find a party guilty in contempt and impose a fine, a term of imprisonment, or both. The court must also require the guilty party in contempt to pay all court costs and reasonable attorney’s fees for bringing the motion in contempt. A court may also award compensatory visitation so long as such visitation is in the best interests of the child. 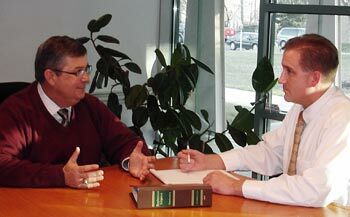 Our divorce lawyers and family law attorneys at the Law Offices of Jack L. Moser, Jr., represent grandparents visitation rights cases in Columbus, and surrounding counties in Central Ohio: Franklin County, Delaware County, Fairfield County, Licking County, Pickaway County, Madison County, Union County, and beyond. Regardless of your county of residence, if you are in need of a skilled, experienced, and aggressive divorce lawyer or family law attorney with your grandparent rights case call the Law Offices of Jack L. Moser, Jr., (614) 478-8005, 107 West Johnstown Road, Columbus / Gahanna, Ohio, 43230, to find out how our knowledgeable and qualified divorce lawyers and family law attorneys can help you meet your goals. The Law Offices of Jack L. Moser, Jr., (614) 478-8005, 107 West Johnstown Road, Columbus / Gahanna, Ohio 43230, is conveniently located just beyond the interchange of I-670, I-270, and State Route 62.